The Historia ecclesiastica of Eusebius took part in the cultural negotiations that attended the turn to a post-Constantinian Christianity. The immediate success of Historia ecclesiastica indicates its success in legitimizing the change process, and in conferring upon the Christian readers a past in keeping with their own situation. This book pinpoints the more or less fragmented concepts of history and world implied in Historia ecclesiastica and investigates what narrative(s) on the history of Christianity are contained in the work, and how Christianity and church are constructed as ideal entities. 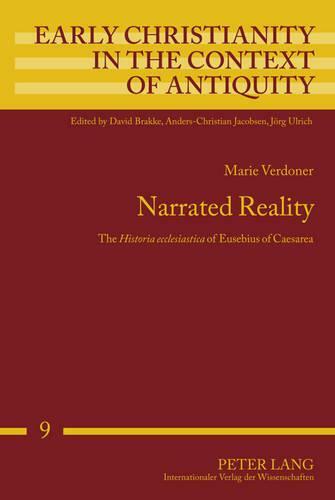 Differing from more conventional readings, where Historia ecclesiastica would be read as a more or less reliable document concerning the history of early Christianity, the book primarily reads the work as a text, pointing towards the cultural system which the text is itself a part of, but to which our access is only partial.